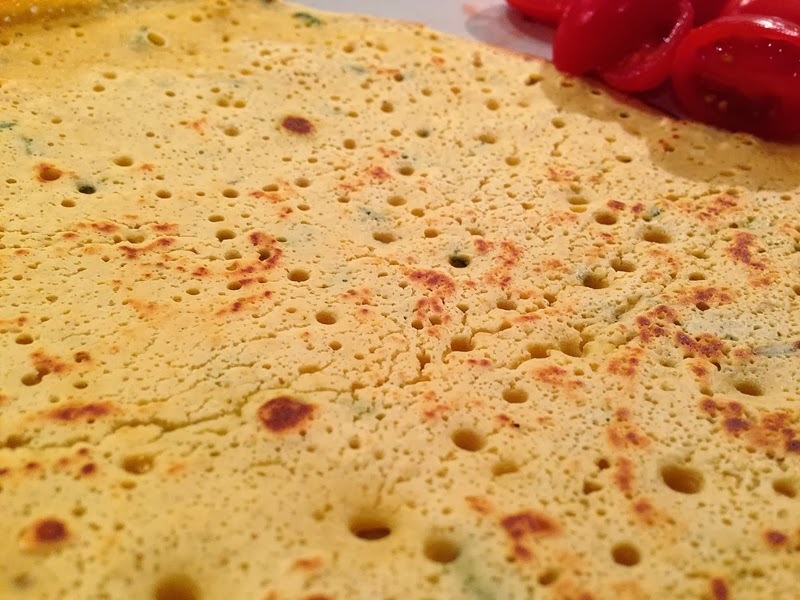 There have been a few chickpea flour recipes popping up in my kitchen of late. The nutty flavour makes a refreshing change to regular flour and cutting down on wheat is always a plus point in my book. 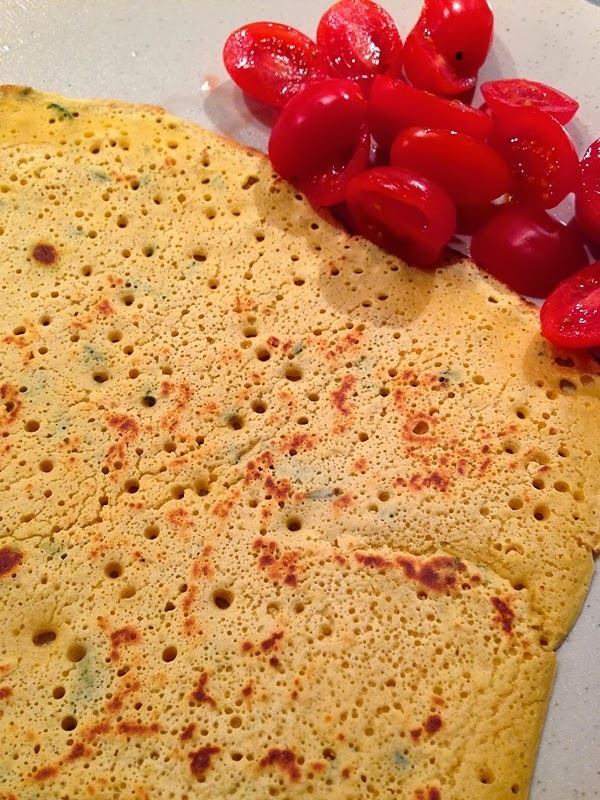 This Italian flatbread-pancake hybrid is traditionally baked in an open oven, like a pizza, but unless you happen to have an open oven at home ~ I don't ~ I'd recommend cooking these in a frying pan on the hob. 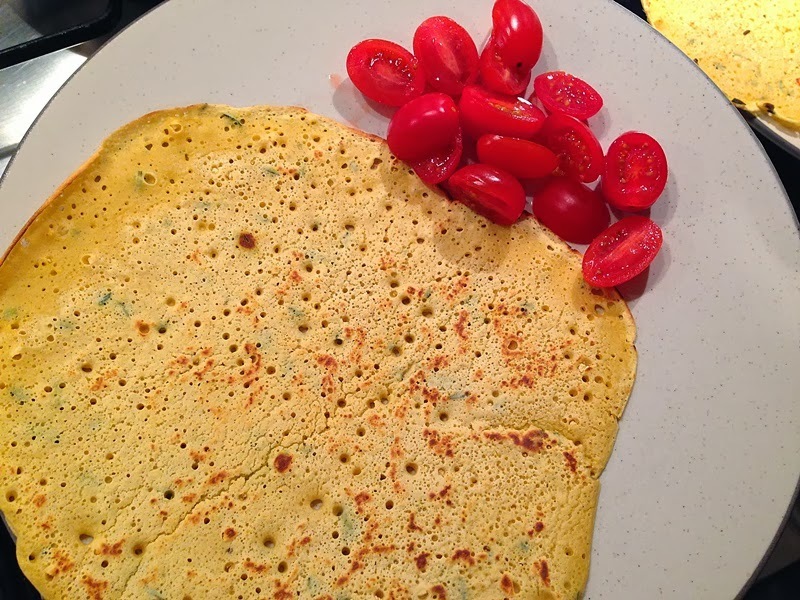 Rosemary and olive oil give farinata its lovely flavour, a real taste of the mediterranean! Serve warm from the pan as a snack or accompaniment to a main meal. Delicious with sliced tomatoes!